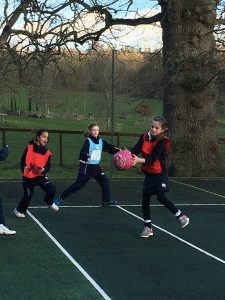 The whole year was involved in the netball matches on Wednesday and it was super to get the matches played given the heavy frost the night before. 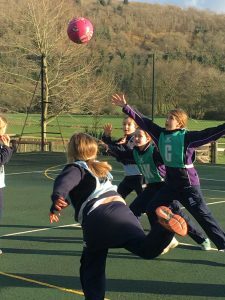 The A match was fiercely contested , the ball travelling from end to end at quite a pace with some good defending and attacking from both teams. Our team managed to creep ahead and the final score was 7-2 to Hanford. 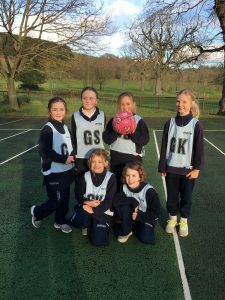 The B’s match was a friendly, competitive game which we narrowly lost. 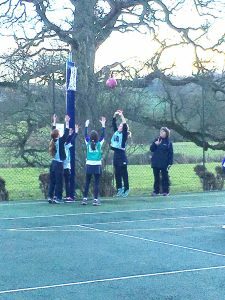 It was hard fought in the centre court and the Sandroyd shooting was certainly better. 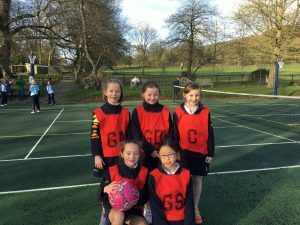 The final score was 5-7 to Sandroyd. 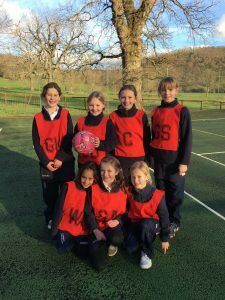 The U9’s were very excited about their first netball match against Sandroyd. The B game started slowly with Sandroyd dominating most of the play. 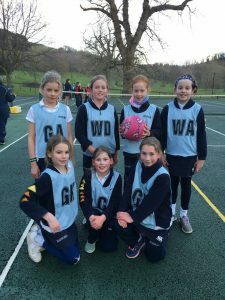 The defence had to work really hard and their final score was 0-3 to Sandroyd. The A match was very even, in fact the score could have gone either way but at the end it was a draw 4-4 all a fair result.